Welcome to ARAG UK's Blog where we provide news and discussion on the issues facing the legal expenses market. I recently blogged about protection against payment of Health & Safety Executive (HSE) Fees for Intervention (FFI) for businesses regulated by HSE available under our Commercial suite of products. (“Covered: health & Safety Executive Fees for Intervention”, posted 8 October). It seems that the Government has realised that local authorities might also benefit, if their health & Safety enforcement teams were able to claw back administrative costs. extending fees for intervention (FFI) to local authority-regulated activities. FFI was introduced in October 2012, allowing the Health & Safety Executive to charge businesses in the sectors that it regulates for the costs of regulation at a rate of £129 per hour. Further information about FFI can be found in my earlier blog. During our first Wellbeing Week (8th – 12th October 2018) we focused each day on one of the 5 ways to wellbeing (give, be active, take notice, keep learning, connect). It was a great way to introduce these five simple strategies into the lives of our employees and see if they would feel the benefits. We started the week gently with a lunchtime craft club with colouring and a cuppa. Colouring books for adults are extremely therapeutic and can help generate wellness, quietness, mindfulness and the exact same benefits which meditation imparts on the brain. In the afternoon there was a slightly livelier ‘office improv’ session, designed to look at the fact that everyone has their own unique view on the world which makes everyone an interesting person, but fear stops us from expressing it out loud. The focus was on sharing unique perspectives through fun and silly games and learn that making mistakes can be one of the best things you'll ever do. What better way to get active than to head to the gym for a lunchtime workout? 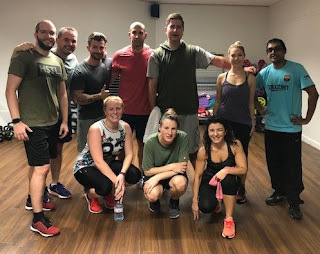 Our group undertook a gruelling bodyweight exercise class which certainly got the blood pumping! This day was all about remembering the simple things that give you joy. Some of our lucky employees enjoyed 10-minute massages, with massage therapy helping to reduce stress, tension and promote overall wellbeing, it was a very pleasant part of their day! 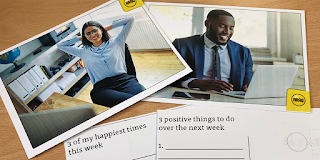 Our wellbeing champions also distributed 'Happiness Postcards' around the office, provided to record 3 things which have made you happy that day. A simple but incredibly powerful action. It's about taking the time to notice the good things in our lives and get the more from these. What matters to you? This workshop was designed to increase our employee’s awareness of what matters to them at home and at work. With an opportunity to reflect on their current level o f wellbeing and identify areas in which you would like to make changes, practical tools and strategies were shared to help them move towards improvement. 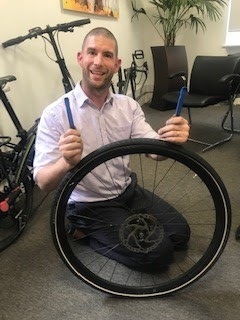 Taking a more ‘hands-on’ approach to learning, our Claims Team Leader, Hayden, shared invaluable knowledge on how to change the tyre on a push bike. With nearly 20% of employees cycling to work, it was an invaluable session for those at risk of a puncture. Thanks Hayden! On the final day we took the opportunity to connect with our group of wellbeing champions (who are also qualified mental health first aid champions) and hear about the plans for our new eco-garden, along with a free buffet lunch for all! 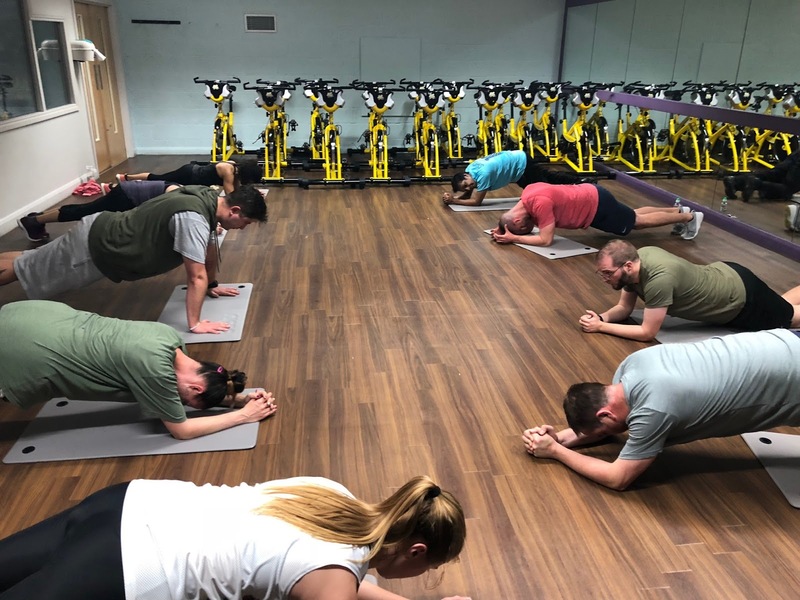 Our first wellbeing week was an opportunity for our employees to not only engage in new activities, but to also have the opportunity to consider their own wellbeing and the ways of wellbeing which work best for them - give, be active, take notice, keep learning or connect. Thank you to everyone involved and especially our wellbeing champions for organising a wonderful week of activities. The feedback has been really positive and we are also working with the Workplace Wellbeing Charter to ensure that we continue to look after our employee’s wellbeing in the most effective way. We are already looking forward to another Wellbeing week next year! Faster and free - Your clients’ right to medical records under GDPR? Before this summer, even just the mention of GDPR might be met with groans from colleagues tired of hearing about this important but inevitably complex piece of legislation that all of us in any sort of business had to get our heads around, to some extent. However, one specific aspect that has been of particular interest to all of us who work on behalf of people who have been harmed by medical malpractice, is the impact that the Regulation has had on accessing a client’s medical records. The right to see the information that medical professionals have recorded about us isn’t new, of course. Such rights were certainly codified under GDPR’s predecessor the Data Protection Act in 1998 and, to a limited extent, the Access to Medical Reports Act back in 1988. Two key aspects of GDPR have already had a significant impact on how such matters are progressed. First, the regulation has reduced the amount of time that an organisation has to respond to a subject access request (SAR) from 40 to 30 calendar days, speeding up the process of assessing a claim which should be ultimately beneficial for all parties. Second, and perhaps more important, has been GDPRs provision that organisations are no longer permitted to charge an administration fee for responding to a SAR, in most instances. As well as making it easier for prospective clinical negligence clients to get hold of their medical records before a specialist solicitor assesses the merits of their case, this also has the effect of speeding up the claims process. These implications of GDPR are not entirely uncontentious and there has been some resistance, particularly for some smaller medical organisations such as GP surgeries, claiming to be overwhelmed by the demand to review large, historic medical files in order to redact data about any third parties who may not have consented to the release of any information about them. There remains some uncertainty around precisely where such responsibilities fall but, on the whole, GDPR appears to have supplied a rare improvement for claimants trying to assert their legal rights in what are often the most difficult of circumstances. While surveying its members on the impact of such requests, the BMA has produced some useful guidance for the medical profession about GDPR, particularly its FAQs related to SARs. Like all legislation, there are clearly some wrinkles that still need to be ironed out. Nonetheless, anything that speeds up the lengthy process of seeking redress for injury caused by clinical negligence can only be a good thing, for all parties involved. The inclusion of cover that pays Health & Safety Executive Fees for Intervention (FFI) has attracted positive feedback following the relaunch of our commercial products in the Spring. Here’s some further information about FFI that’s aimed at helping agents explain what the new cover is and how enhances the value of the products. Fee for Intervention (FFI) is a “cost recovery scheme” operated by the Health & Safety Executive (HSE). Under the Health and Safety (Fees) Regulations 2012. Under the Health and Safety (Fees) Regulations 2012, workplaces in ‘material breach’ of health and safety laws are liable for recovery of the HSE’s costs for any inspection, investigation and enforcement action that is undertaken. A ‘material breach’ occurs when the HSE issues a notification of contravention, an improvement or prohibition notice, or a prosecution. When criminal proceedings are started, FFI cease and criminal prosecution costs apply. (Note - prosecution costs are not covered by LEI, but the cost of legal representation is). From October 1, 2012, the HSE have been able to recover the costs of its interventions from businesses found to be in material breach of the law, even in the absence of a prosecution. If the HSE intervenes they are under a legal duty to recover costs in all cases where there is (i) a material breach of health and safety law and (ii) a requirement to rectify the breach is made in writing. Sectors regulated by the HSE include: factories, mines, schools, fairgrounds, nursing homes, government premises, dentists and doctors’ surgeries. (Other occupations are regulated by local authorities which do not operate a fee regime). FFI applies to public and limited companies, partnerships, the Crown and public bodies, and to self-employed people. Other organisations that enforce health and safety law, such as the police or local authorities, will not be able to recover their costs under FFI. Full investigation: Ranges from approximately £750 through to several thousands of pounds. HSE will invoice the business and expect payment within 30 days. A complaints process is available allowing businesses to bring a complaint about an invoice and HSE will explain the process when a charge is levied. In our view, FFI are not fines and they have not been introduced as a civil penalty - but solely to support Government policy which requires that service users should pay for the costs of the services they use. HSE policy guidance makes it clear that the purpose of FFI is to recoup costs, and of course exposure to FFI may encourage good H & S practice. The law does not prohibit the use of insurance as a funding mechanism. FFI could be considered similar to an order for opponents’ costs in a civil case, but the charges relate to internal admin, rather than legal costs incurred. Including indemnity for FFI for commercial policyholders completes a ring of protection by extending indemnity that has always been available for legal costs to appeal H & S enforcements notices, and to defend prosecutions. Since data has become available that allowed us to calculate the risk, we were pleased to add FFI cover as part of the May 2018 relaunch of commercial products. We cannot settle FFI invoices until they have been raised, but policyholders should tell us about H & S activity as soon as they are aware that the H & S Exec has identified non-compliance that will incur FFI charges. We may also be dealing with a claim to appeal against an improvement or prohibition notice that relates to the intervention that has resulted in liability for FFI. If that is the case, customers should quote the reference of any claim that relates to the same event. FFI invoices should be sent to us promptly for payment. For a lot of us, learning is something we associate with our younger years and school, college, sixth form or university. Our later years are traditionally just for work. Recently though this has been changing. More and more people are seeking out new skills and information, both to stay ahead in their careers and exercise their minds. The NHS advises adults continue to learn for their entire lives to keep up their mental wellbeing. 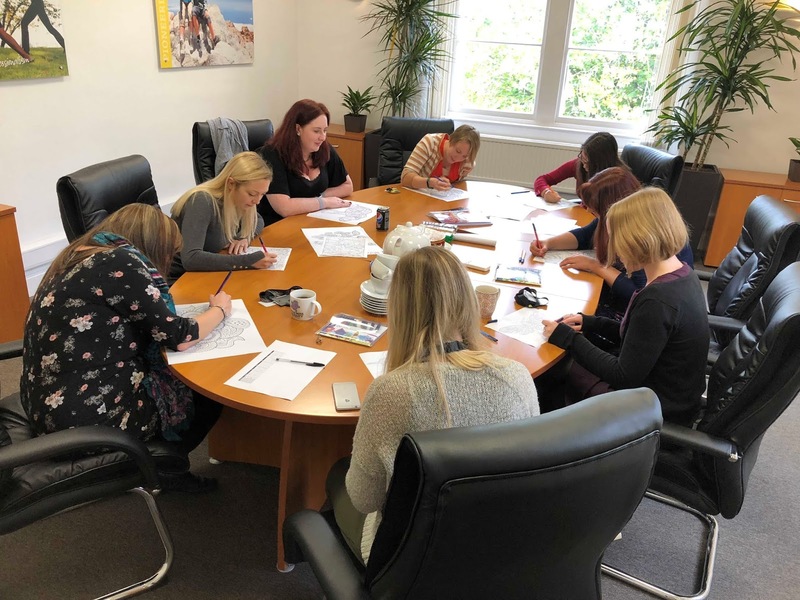 Continued professional learning and mental wellbeing are a huge focus for us as a business. This year we've been working on something to mirror what we are doing internally and offer our business partners the same opportunity to learn. To do this we're launching a completely free online training platform. This platform is designed to be a simple, easy to use way to get you intimately familiar with our products and services. It's available on your desktop just through your web browser, or on any iPhone, iPad or Android device using the EduMe app. You can see a sample of what the platform looks like on the right. 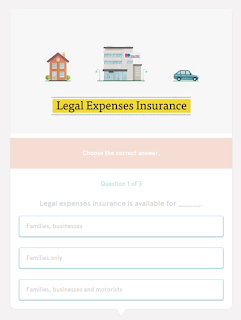 Our first module is an introduction to legal expenses insurance, then there is a specific module to help you get to grips with our recently relaunched Essential Business Legal. The training platform has been tested and trialled both internally at ARAG and externally with some of our business partners to very positive feedback. It could even qualify towards the continual professional development (CPD) hours you need for this year, to find out if it does speak to your supervisor or compliance team. 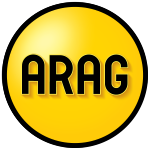 To get started with the ARAG training platform all you need to do is click here. You'll need to sign up with your email and a password, and don't worry we won't be using your data for any marketing. It's completely free and we'll be adding new modules on other products and services in the future so you might want to bookmark the site so you can check back. ©ARAG Plc, All rights Reserved . Simple theme. Theme images by gaffera. Powered by Blogger.